Beginning Sounds Practice for Pre-K/Kindergarten. Kid-tested! 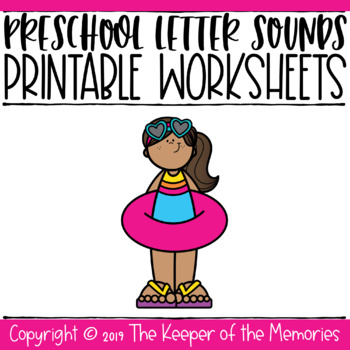 Use these 13 worksheets to practice beginning sounds and lowercase letters with your little kids! My favorite little product tester loved these Dot the Sound Activity Sheets! We printed the worksheets, picked a few dot markers and got to work. There are two pictures included for each letter of the alphabet for a total of 13 worksheets. Note: These activity sheets focus on recognizing lowercase letters and include at least some long and short vowel sounds. This is a digital product. You will receive a PDF only. Thanks so much for downloading this resource from The Keeper of the Memories! I hope you love using it with your little kids as much as I loved creating it with mine!